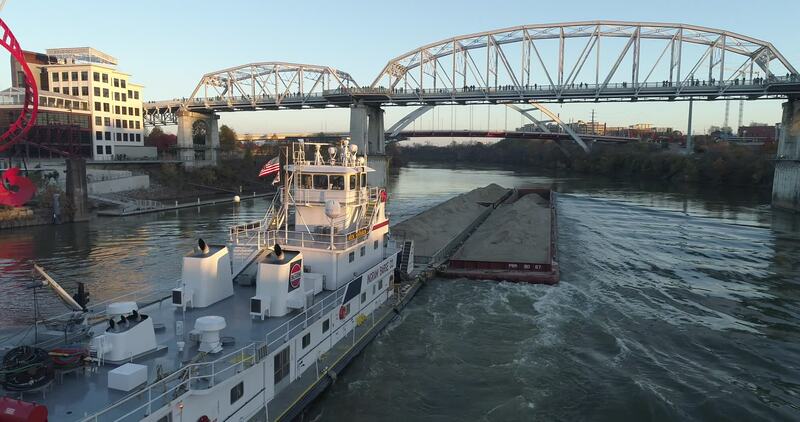 Description: Filming the Ingram Barge in downtown Nashville TN. I enjoy how the sun beams down from Broadway onto the barge. Also notice when the captain stands up to blow the fog horn!